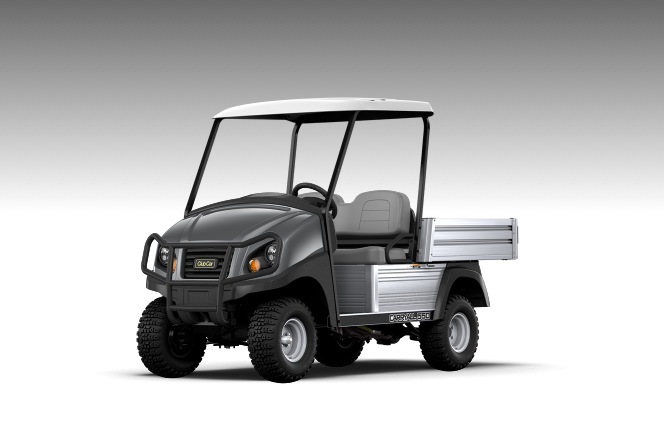 Create your perfect utility vehicle using our range of attachments and options. 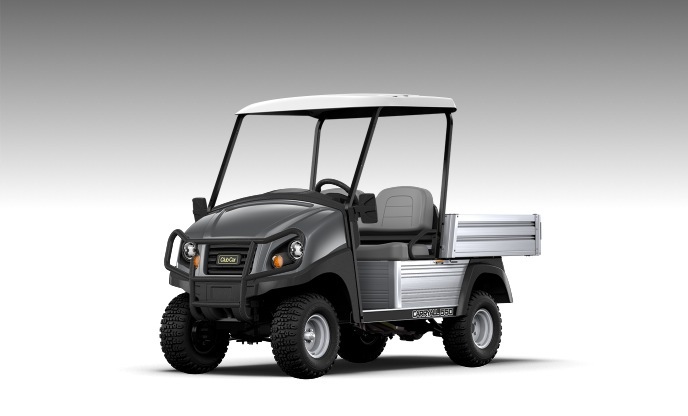 Many consider the canopy top a must have option with any Club Car utility vehicle, providing basic weather protection to the driver and passenger. Want that wind in your hair on July afternoon, but don’t want the rain in your face on a Winters morning. 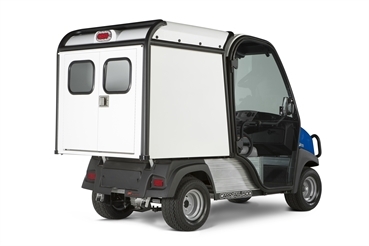 The Club Car split fold screen is for you. Can only be used in conjunction with the Canopy Top. Want that wind in your hair feel on July afternoon, but don’t want the rain in your face on a Winters morning. 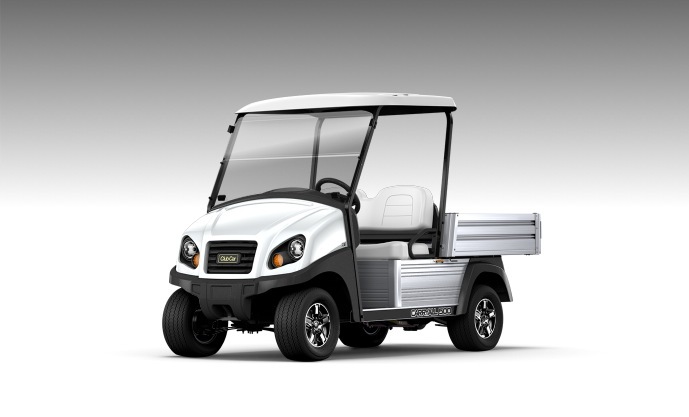 The Club Car split fold screen is for you. Can only be used in conjunction with the Canopy Top. 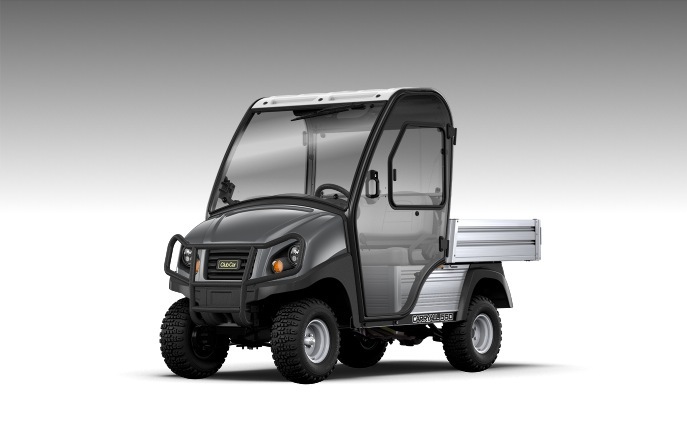 Stay dry whatever the weather throws at you with Club Cars fully enclosed glass cab for the Carryall range. Transport more come rain or shine with Club Cars van box, ideal for transporting laundry at hotels, books at a school, or beverages and food . 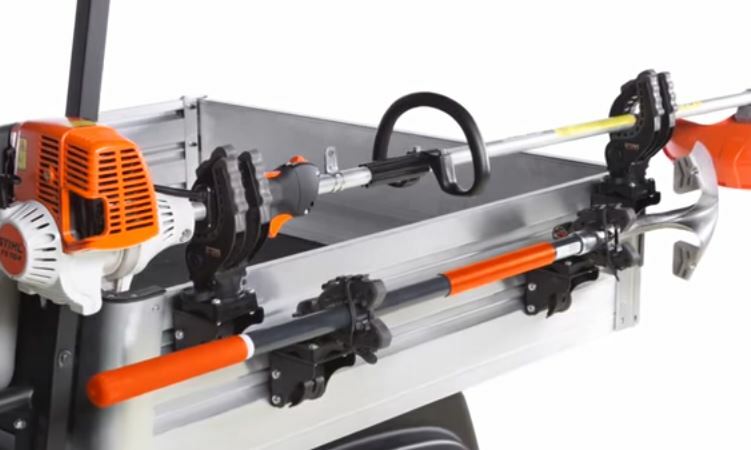 The Versattach Flex Grip Tool Holder allows you to mount tools such as shovels, brushes and rakes to side our your aluminium back box thus creating additional space in the box for cargo. 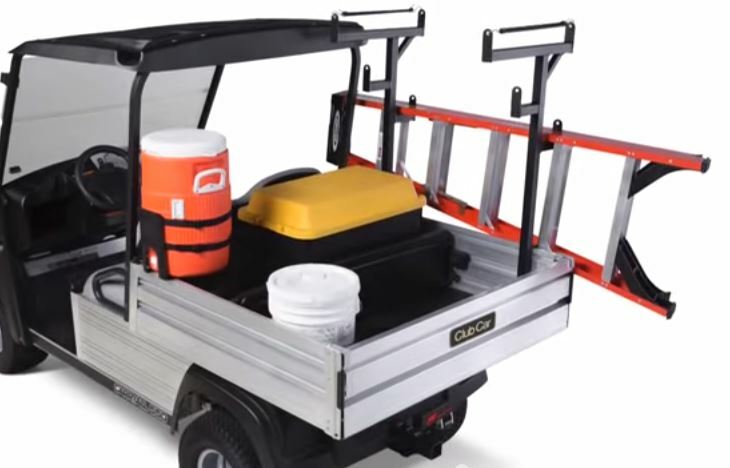 The Versattach Ladder Rack for the Club Car Carryall allows you to safely and securely carry a set of small ladders or steps. 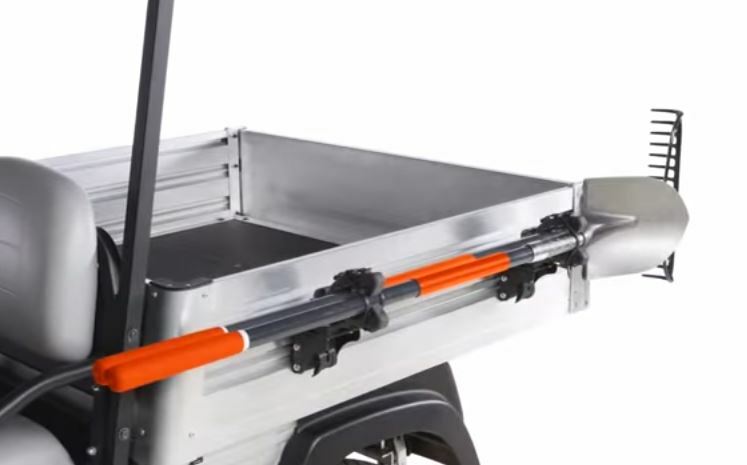 The Versattach Bed Divider for the Club Car Carryall allows you to separate different sections of the vehicles bed. 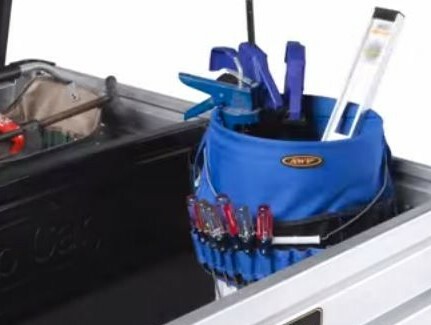 The Versattach ratcheting grip tool holder can hold a variety of different sized tools in place, as shown in the image it can be used alongside the flex grip tool holder. 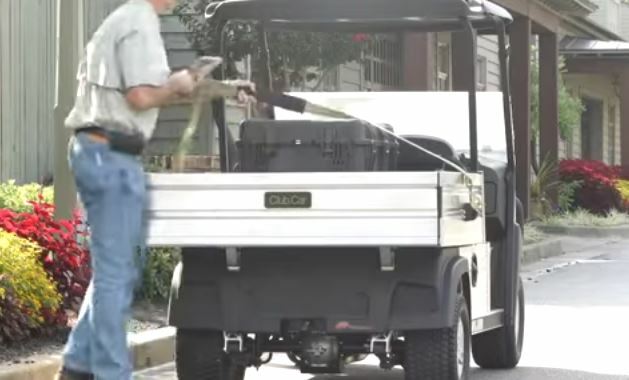 The Versattach Cargo Tie for the Club Car Carryall holds down whatever you are looking to transport even when driving over bumpy terrain.